Contacts: Jeffrey L Mauk, Carma A San Juan, Peter N Schweitzer, Ph. 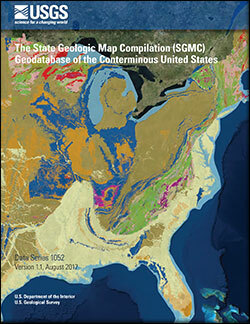 D.
Horton, John D.; San Juan, Carma A.; Stoeser, Douglas B.
Horton, J.D., San Juan, C.A., and Stoeser, D.B., 2017, The State Geologic Map Compilation (SGMC) geodatabase of the conterminous United States (ver. 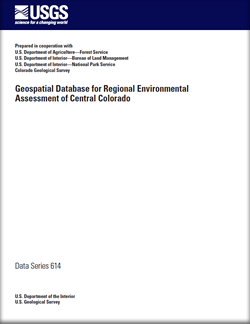 1.1, August 2017): U.S. Geological Survey Data Series 1052, 46 p., https://doi.org/10.3133/ds1052. Lund, Karen; Zürcher, Lukas; Hofstra, Albert H.; Van Gosen, Bradley S.; Benson, Mary Ellen; Box, Stephen E.; Anderson, Eric D.; Bleiwas, Donald I.; DeAngelo, Jacob; Drake, Ronald M.; Fernette, Gregory L.; Giles, Stuart A.; Glen, Jonathan M. G.; Haacke, Jon E.; Horton, John D.; John, David A.; Robinson, Gilpin R.; Rockwell, Barnaby W.; San Juan, Carma A.; Shaffer, Brian N.; Smith, Steven M.; Williams, Colin F.
Lund, K., Zürcher, L., Hofstra, A.H., Van Gosen, B.S., Benson, M.E., Box, S.E., Anderson, E.D., Bleiwas, D.I., DeAngelo, J., Drake, R.M., II, Fernette, G.L., Giles, S.A., Glen, J.M.G., Haacke, J.E., Horton, J., John, D.M., Robinson, G.R., Jr., Rockwell, B.W., San Juan, C.A., Shaffer, B.N., Smith, S.M., and Williams, C.F., 2016, Geology and mineral resources of the North-Central Idaho Sagebrush Focal Area (ver. 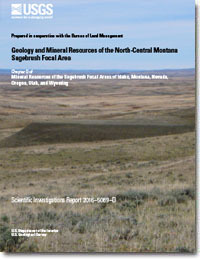 1.1, October 27, 2016): U.S. Geological Survey Scientific Investigations Report 2016–5089 –C, 147 p., http://dx.doi.org/10.3133/sir20165089C. Mauk, Jeffrey L.; Zientek, Michael L.; Hearn, B. Carter; Parks, Heather L.; Jenkins, M. Christopher; Anderson, Eric D.; Benson, Mary Ellen; Bleiwas, Donald I.; DeAngelo, Jacob; Denning, Paul; Dicken, Connie L.; Drake, Ronald M.; Fernette, Gregory L.; Folger, Helen W.; Giles, Stuart A.; Glen, Jonathan M. G.; Granitto, Matthew; Haacke, Jon E.; Horton, John D.; Kelley, Karen D.; Ober, Joyce A.; Rockwell, Barnaby W.; San Juan, Carma A.; Sangine, Elizabeth S.; Schweitzer, Peter N.; Shaffer, Brian N.; Smith, Steven M.; Williams, Colin F.; Yager, Douglas B.
Mauk, J.L., Zientek, M.L., Hearn, B.C., Jr., Parks, H.L., Jenkins, M.C., Anderson, E.D., Benson, M.E., Bleiwas, D.I., DeAngelo, J., Denning, P.D., Dicken, C.L., Drake, R.M., II, Fernette, G.L., Folger, H.W., Giles, S.A., Glen, J.M.G., Granitto, M., Haacke, J.E., Horton, J.D., Kelley, K.D., Ober, J.A., Rockwell, B.W., San Juan, C.A., Sangine, E.S., Schweitzer, P.N., Shaffer, B.N., Smith, S.M., Williams, C.F., and Yager, D.B., 2016, Geology and mineral resources of the North-Central Montana Sagebrush Focal Area: U.S. Geological Survey Scientific Investigations Report 2016–5089–D, 104 p., http://dx.doi.org/10.3133/sir20165089D. Plumlee, Geoffrey S.; Alpers, Charles N.; Morman, Suzette A.; San Juan, Carma A.
du Bray, E.A., Holm-Denoma, C.S., San Juan, C.A., Lund, Karen, Premo, W.R., and DeWitt, Ed, 2015, Geochemical, modal, and geochronologic data for 1.4 Ga A-type granitoid intrusions of the conterminous United States: U.S. Geological Survey Data Series 942, 19 p., http://dx.doi.org/10.3133/ds942. 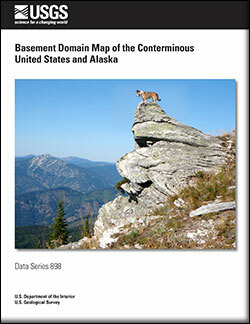 Lund, Karen, Box, S.E., Holm-Denoma, C.S., San Juan, C.A., Blakely, R.J., Saltus, R.W., Anderson, E.D., and DeWitt, E.H., 2015, Basement domain map of the conterminous United States and Alaska: U.S. Geological Survey Data Series 898, 41 p., http://dx.doi.org/10.3133/ds898. 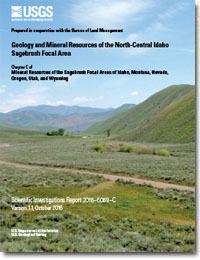 Schmidt, Travis S.; Clements, William H.; Wanty, Richard B.; Verplanck, Philip L.; Church, Stan E.; San Juan, Carma A.; Fey, David L.; Rockwell, Barnaby W.; DeWitt, Ed H.; Klein, Terry L.
Geologic processes influence the effects of mining on aquatic ecosystems; 2012; Article; Journal; Ecological Applications; Schmidt, Travis S.; Clements, William H.; Wanty, Richard B.; Verplanck, Philip L.; Church, Stanley E.; San Juan, Carma A.; Fey, David L.; Rockwell, Barnaby W.; DeWitt, Ed H.; Klein, Terry L.
Geospatial database for regional environmental assessment of central Colorado. Church, Stan E.; San Juan, Carma A.; Fey, David L.; Schmidt, Travis S.; Klein, Terry L.; DeWitt, Ed H.; Wanty, Richard B.; Verplanck, Philip L.; Mitchell, Katharine A.; Adams, Monique G.; Choate, LaDonna M.; Todorov, Todor I.; Rockwell, Barnaby W.; McEachron, Luke; Anthony, Michael W.
Geospatial database for regional environmental assessment of central Colorado. ; 2012; DS; 614; Church, Stanley E.; San Juan, Carma A.; Fey, David L.; Schmidt, Travis S.; Klein, Terry L.; DeWitt, Ed H.; Wanty, Richard B.; Verplanck, Philip L.; Mitchell, Katharine A.; Adams, Monique G.; Choate, LaDonna M.; Todorov, Todor I.; Rockwell, Barnaby W.; McEachron, Luke ; Anthony, Michael W.
Schmidt, Travis S.; Clements, William H.; Zuellig, Robert E.; Mitchell, Katharine A.; Church, Stan E.; Wanty, Richard B.; San Juan, Carma A.; Adams, Monique; Lamothe, Paul J. Critical tissue residue approach linking accumulated metals in aquatic insects to population and community-level effects; 2011; Article; Journal; Environmental Science and Technology; Schmidt, Travis S.; Clements, William H.; Zuellig, Robert E.; Mitchell, Katharine A.; Church, Stanley E.; Wanty, Richard B.; San Juan, Carma A.; Adams, Monique ; Lamothe, Paul J. Church, Stan E.; Fey, David L.; Wanty, Richard B.; Schmidt, Travis S.; Klein, T.L. ; Rockwell, Barnaby W.; San Juan, Carma A. 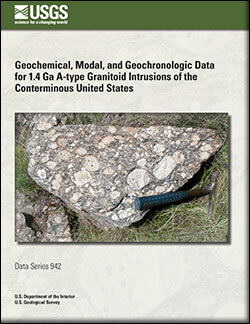 Evaluation of the extent of contamination caused by historical mining in catchments of central Colorado; 2010; Abstract or summary; Geological Society of America Denver Annual Meeting; Church, Stanley E.; Fey, David L.; Wanty, Richard B.; Schmidt, Travis S.; Klein, T. L.; Rockwell, Barnaby W.; San Juan Carma A.
Schmidt, Travis S.; Clements, W.H. ; Mitchell, K.A. ; Church, Stanley E.; Wanty, Richard B.; Fey, David L.; Verplanck, Philip L.; San Juan, Carma A. Development of a new toxic-unit model for the bioassessment of metals in streams; 2010; Article; Journal; Environmental Toxicology and Chemistry; Schmidt, T. S.; Clements, W. H.; Mitchell, K. A.; Church, S. E.; Wanty, R. B.; Fey, D. L.; Verplanck, P. L.; San, Juan, C. A.